A great little affordable meter to help you measure what is stored in your batteries. Easy to install, you simply feed the negative cable from the batteries through the sensor, no cables to cut. The meter is wireless and powered by USB so you can easily install it somewhere in your living area. OUT: The switch output function of the wireless control relay can be realized by clicking OUT. SNR: set the screen current, when the SNR is greater than 0, and the screen time value is not 0, you can achieve automatic screen function, and when the charging current is less than this value, the cumulative charging capacity is not to avoid floating charge The impact of the capacity value, when the current is greater than this value LCD screen automatically lit. SNT: Set the screen time value. When the SNT value is 0, the LCD panel never goes out. When the SNT value is greater than 0 and the SNR is also greater than 0, the automatic screen and bright screen functions can be realized. RFS: display color switch function, this instrument has two color matching customers can choose different color according to their preferences. wireless transmission of data, to avoid the complex wiring between the display and detection modules to bring interference, while wiring is more simple. Hall sensor is used to realize non-contact detection current without disconnecting wires, which is safe, reliable and convenient. voltage, current, power, temperature, capacity, percentage of remaining capacity, running time is displayed at the same time. 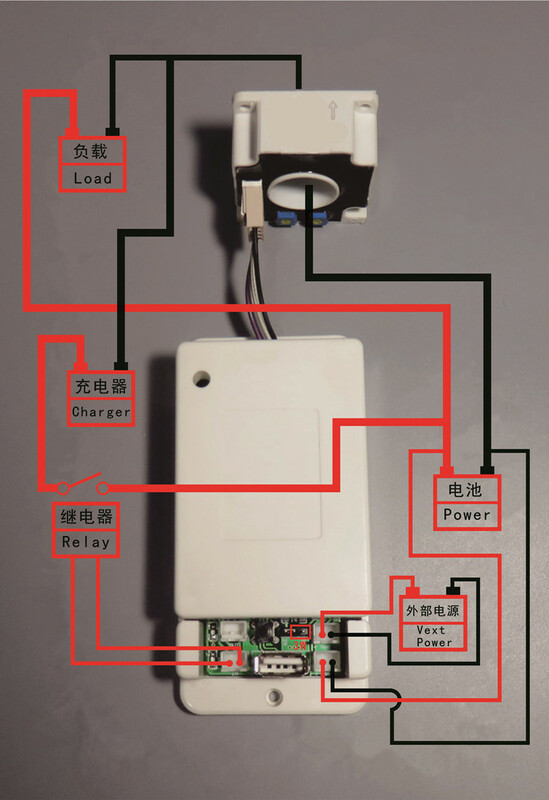 double relay interface, you can manage charge and discharge separately. with charge over voltage, discharge under voltage, charge over-current, discharge over-current protection. The memory function of the breakpoint, power-on and power-off, and the number of AH and WH before power-off can be memorized. Note: If the measured battery (power) voltage (6-80) V range can be battery (power) its own power supply wiring, if the measured battery voltage is greater than 80V or less than 6V should be used for external power supply wiring; voltage if not (6-80) V range, please do not use their own power supply wiring, this may damage the measuring instrument. NOTE: If the tested battery (power supply) can work with its own power supply voltage (6-80V) during normal operation, first adjust the jumper cap of the power supply selection interface to "2W", and then connect The positive and negative poles of the battery (power supply) are connected to the voltage measurement port "+Bat-"; note that "+" connects to the positive terminal of the battery (power supply), and "-" connects to the negative terminal of the battery (power supply). The positive and negative poles of the power supply must not be connected. 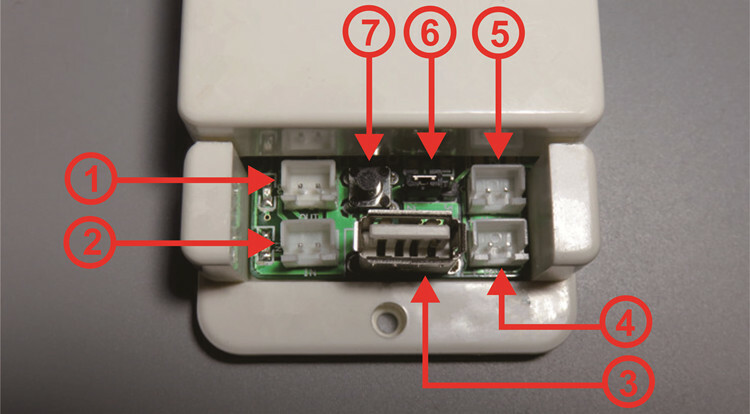 Wrong or reverse, the battery (power) is connected to the positive pole of the load, the negative pole of the battery (power) is connected to the negative pole of the load through the Hall sensor. When the current flowing through the Hall sensor and the Hall sensor power-on arrow When the direction is the same, the measured current will show a positive value, otherwise the measured current will show a negative value. Note: If the voltage range of the tested battery (power supply) is not within the range of (6-80V) during normal operation, the external power supply connection mode can be used. 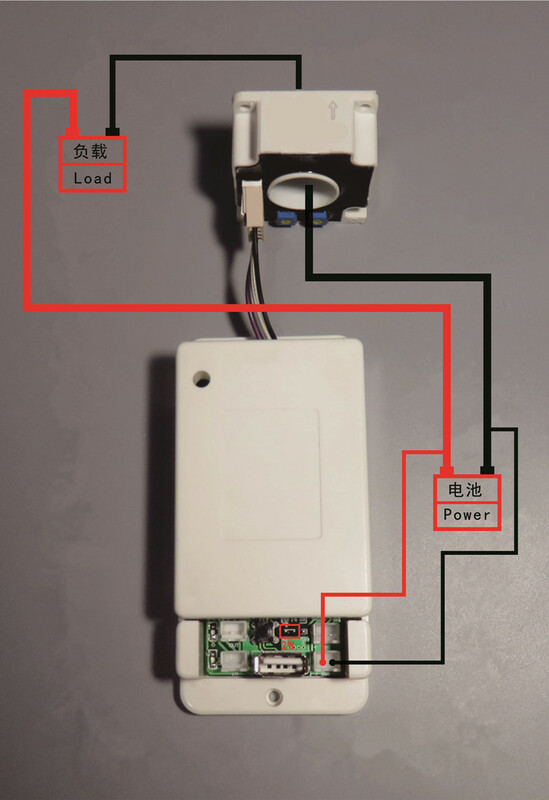 First, adjust the jumper cap of the power supply selection interface to "3W" to connect the external power supply. Positive and negative poles are connected to "+Vext-". 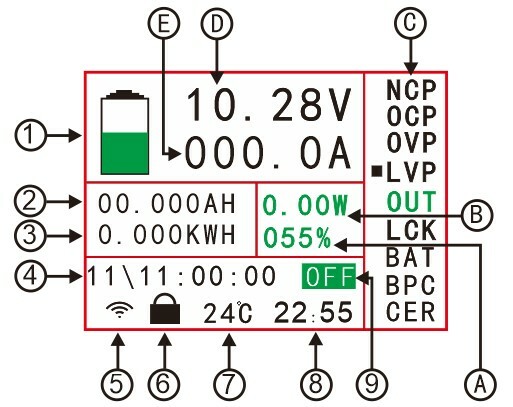 Note that "+" is connected to the positive pole of the external power supply, and "-" is connected to the negative pole of the external power source; then connect the positive and negative poles of the battery (power supply) to the voltage measurement port "+Bat - "Department, pay attention to" + "connected to the battery (power) positive," - "battery (power) negative. The positive and negative poles of the battery (power supply) should not be connected wrongly or reversed. Connect the positive pole of the battery (power supply) to the positive pole of the load. The negative pole of the battery (power supply) is connected to the negative pole of the load through the hall sensor when passing through the hall sensor. Of the current direction and the direction of the Hall sensor power-up arrow when the measured current will be displayed as positive, while the measured current is displayed as a negative value. Note: The relay's working power is provided by an external power supply. If it is connected to a relay, it must provide an external power supply with the same working voltage as the relay. Connect the control port of the relay to the interface of the discharge controller. If you want to control the positive side of the discharge, pass the positive line through the relay. If you want to control the negative side of the discharge, connect the negative line to the relay. When the relay is on, the OUT lamp It will light, off when off as a reminder. Affordable RCBO Breaker for 35mm DIN mount. Use with our DIN Rail as an easy and affordable breaker solution. RCBO - combined RCD and MCB, gives double protection. Your inverter output should go via and RCBO to protect your safety from Over current and Leakage. AC 50/60Hz rated voltage 230V for single pole two wire, 2 pole. AC class - Tripping is ensured for sinusoidal, alternating currents, whether they be quickly applied or slowly increase. 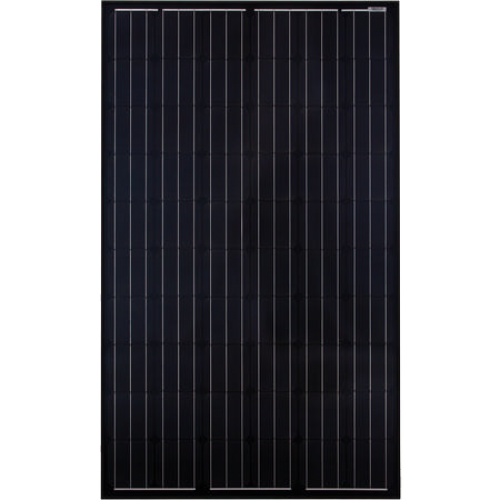 C curve (5-10 In) protection and control of the circuits against overloads and short-circuits; protection for resistive and inductive loads with low inrush current.